Let’s say your favorite band, the Groove Tones, is coming to town Friday night and your best friend surprises you with a ticket to the concert. The problem is, you’re scheduled to work the closing shift at Taco Hut that night. You’ve got to convince your manager to give you the night off. How would you do it? Writing persuasive papers, whether a written appeal to your boss, a movie review, a letter to the editor, or a literary essay, require careful crafting. In general, people are not quick to change their minds. Good persuasive writing, however, aims to do just that — convince people to agree with you. 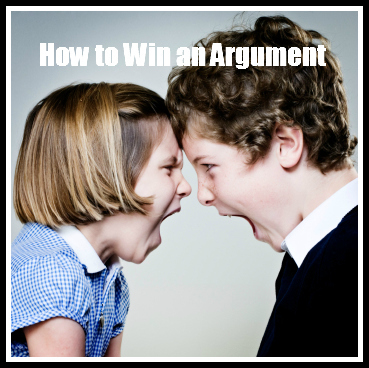 To do that, you have to know how to argue. I don’t mean fight. Anyone can yell and call people names. I mean argue — think of a high-priced lawyer making his closing arguments to the jury. Good persuasive writers know how to structure an argument so that it is most likely to persuade the reader. There’s no guarantee of success, of course, but you can increase your odds by being strategic. Find an aspect of the opposing position that you can agree with and talk about it early, probably in your second paragraph. Don’t linger there, and be sure to use transition words or phrases like, admittedly, or it is true that, or I must admit. Without these clues the reader might get confused about what you are trying to say. So, if there’s any way you could change the schedule, I would be grateful. I’m a dedicated fan, but I also want to be a responsible employee. Would you make an exception this one time? What do you say? Keep in mind that the example we have used here is more informal than you will be using in your persuasive papers. That’s because it is a “spoken” example rather than a written one. Notice, though, that the tone is respectful and rational. The best persuasive papers rely on convincing arguments, not unreasonable appeals to emotion. Not that our emotions don’t enter into it – our hearts and heads are connected, after all. But purely emotional appeals are usually considered manipulative and unfair. Assume your reader is intelligent and fair-minded and use sound arguments to win him over. We really appreciate hearing from our readers. Leave a reaction, a comment, a criticism, or a question below. Dave Barry always cracks me up. Thanks, Robert. Excellent ideas for using persuasive skills in real life situations! It’s astounding how often real life presents countless opportunities to practice persuasion. Searching for true win/win scenarios will help the other party and make everyone a winner.